Do you watch TV in bed late at night? Or perhaps, you enjoy catching up on Facebook, surfing the internet on a tablet, or responding to those all-important text messages before going to sleep. 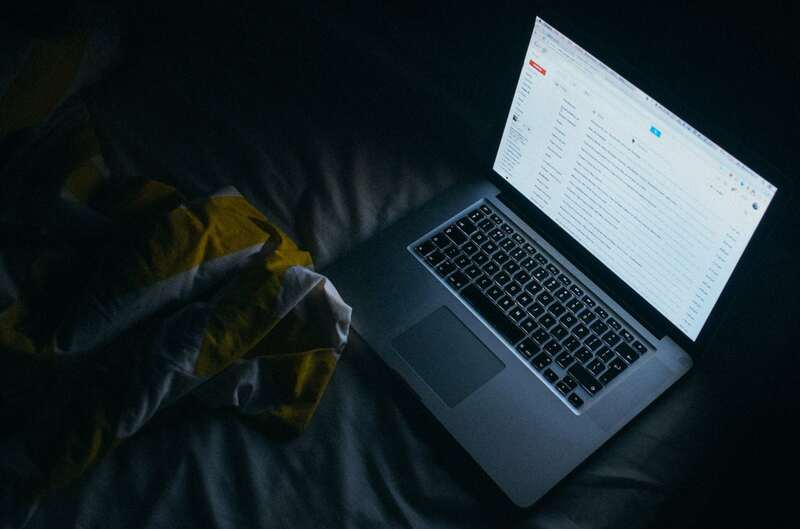 While this may seem like a good way to unwind, what you need to know is that these electronic devices could be wrecking your sleep. In a National Sleep Foundation poll, 9 in 10 Americans reported using an electronic device in the hour before bedtime with TVs being the most popular. They also found that 61% of the respondents used their computers or laptops regularly in the evening. It’s turns out that the body’s natural sleep/wake cycle is regulated by light. TV, tablet, and smart phone screens all emit bright blue light that can interfere with your sleep-wake cycle and cause insomnia. The blue light is believed to slow the production of melatonin, a hormone that tells your brain it’s time to sleep. Some studies have found that using an ebook reader before bedtime can affect melatonin secretion and as little as a two-hour exposure to light from an iPad can have similar effects. According to the Centers for Disease Control, 1 in 3 US adults don’t get adequate sleep. Many of them may be shooting themselves in the foot at night with a smart phone, tablet, or TV. The best remedy of course is to practice good sleep hygiene and avoid using these devices in bed at night. You should keep your bedroom cool, dark, and quiet. However, what if you have to use a smart phone, computer, or watch TV in the evening? They have been shown to prevent melatonin suppression by bright light, but do they really help with insomnia? Researchers at Columbia University Medical Center recently reported the results of a randomized controlled clinical study of adults with insomnia. Some were given glasses with amber-tinted lenses to wear 2 hours before bedtime while others were given glasses with clear lenses. Participants were told to wear the glasses whenever they used an electronic device in bed or if a light was turned on during the light. 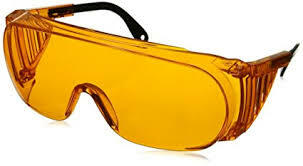 They found that wearing amber glasses for 2h preceding bedtime for one week improved sleep in individuals with insomnia. They slept longer and had higher quality sleep. While the study was somewhat small (only 14 individuals), it is one of the first of its kind to show that blue-light blocking glasses can help with insomnia. That’s good news because this is a cheap and safer alternative to sleeping pills. These glasses may provide other health benefits such as reduced eye strain and a lower risk for macular degeneration. If you decide to give this a try, be sure to find glasses that block out as much blue light wavelength (440 nm to 470 nm) as possible and feel comfortable so that you wear them consistently. You can get them as a prescription from an eye doctor, but they are also available on Amazon. 1. The Sleep and Technology Use of Americans: Findings from the National Sleep Foundation’s 2011 Sleep in America Poll. Journal of Clinical Sleep Medicine, 2013, volume 9, issue 12, pages 1291–1299. 2. Evening use of light-emitting eReaders negatively affects sleep, circadian timing, and next-morning alertness. Proceedings of the National Academy of Sciences USA, 2015, volume 112, issue 4, pages 1232 – 1237. 3. Light level and duration of exposure determine the impact of self-luminous tablets on melatonin suppression. Applied Ergonomics, 2013, volume 44, issue 2, pages 237-240. 4. Blue blocker glasses impede the capacity of bright light to suppress melatonin production. Journal Pineal Research, 2006, volume 41, issue 1, pages 73-78. 5. Blocking nocturnal blue light for insomnia: A randomized controlled trial. Journal of Psychiatric Research, 2018, volume 96, pages 196-202.